Established in 1992, Right Choice Real Estate has quickly become the most successful, trusted and recognised real estate company in Shellharbour City. 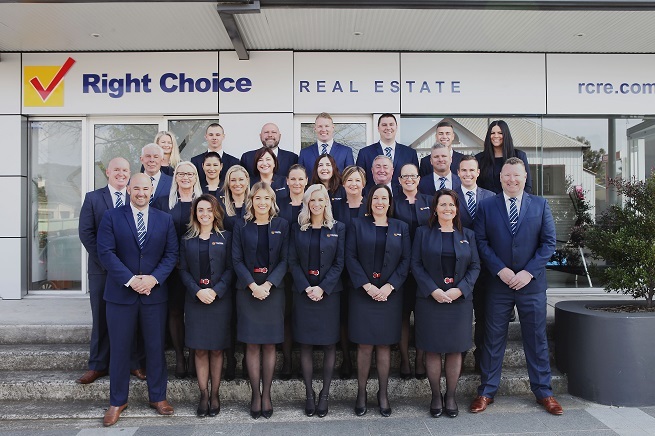 Specialising in residential sales and property management and with a unique sales strategy built on trust, values, ethics and only the strongest client care, Right Choice Real Estate has consistently been the regions number one selling team for over 25 years. With offices strategically based in Albion Park and Shellharbour City, we are positioned to provide the best real estate service to the state’s fastest growing region. Boasting a sales team with well over 100 years experience, we strive to recruit, attract and retain only the finest people in their chosen fields. You can always be assured of the highest quality advice, service and professionalism. Whist we are dedicated to achieve exceptional results and we are undeniably proud of these results, our greatest accomplishment is always an ecstatic client. Our whole team is totally focused on our corporate mission statement to this end. "To provide the best real estate service in Shellharbour City, based on the highest standard of ethics, values and client care. In doing so, we will earn the loyalty and trust of home-sellers, buyers, investors and tenants who will become our lifelong clients and friends, because we always place their interests ahead of our own."